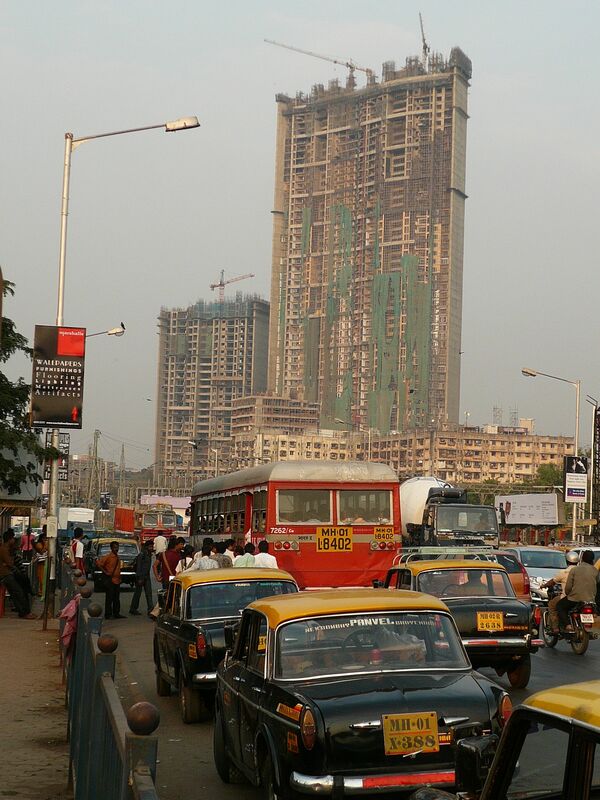 Quite a few architects and urban designers have cracked their heads on the urban phenomenon that Mumbai represents. What kind of logic keeps this big, bad city running despite all odds? How exactly does its urban fabric reflect the extreme disparities that have become inexorably attached to the city’s image? What does the mutation of colonial Bombay into global Mumbai mean for architectural forms and public life? Rahul Mehrotra’s static vs. kinetic city story is one of the most compelling attempts at providing a general understanding of the dynamics and tensions at work in the making and perpetuating of Mumbai’s urbanism. According to him, the static is the official city of built forms, framed by monumental structures, birthed and nourished by broadly premodernist and modernist impulses. Sharing space, often unacknowledged and even unseen, but nevertheless very much present and active is the kinetic city, energized by the impulse of everyday human presence and activity, spilling over streets and public spaces, composed of transactions and the bazaar ethos, especially by resource and capital deprived inhabitants. He accurately points out that Mumbai’s history and future are unimaginable without the dense trading culture and human interactions that spill in and out of its bustling streets and worn out habitats. Likewise, his critique of rigid notions of architectural heritage and urban futures that defend built space over lived space, is spot on. Anybody who comes to Mumbai and connects with its incredible street life, wrapped around and between its mongrelized Gothic colonial or post-colonial structures can immediately connect to the ideal types of the static and the kinetic city. Mehrotra goes on to elaborate why Mumbai is essentially a kinetic city which cannot be tamed or reigned in by the static city. He does not fully buy into the standard dichotomization of the city into formal and informal sectors, which can mistakenly be overlapped onto his static-kinetic concepts. Instead, his perspective transforms public architecture into a sophisticated set of practices that involve a layered understanding of architectural heritage. He attributes a more creative role to intangible moments of public life like festivals and street economies. The transformation of the Kala Ghoda art district in Mumbai is a successful tribute to his framework. It is to his credit as an architect that he uses imagination and a sense of history to co-produce a public project of this nature without investing in another expensive monument to celebrate existing ones. Sadly, the concept of the kinetic city is threatened by the malaise of over-interpretation. Sometimes instigated by Mehrotra’s own hurried words. For example, it is easy to misread his observations that all structures of the kinetic city are made of temporary and recycled materials or that their limited but productive lifespan is connected to makeshift building techniques. This encourages a tendency to misunderstand some neighbourhoods in Mumbai as being disposable because of a surface reading of their dynamics. They seem to resemble the structures that Mehrotra is describing. We think that it would probably be wise not to let Mehrotra’s slippery concept slide over the blurry boundaries of South Mumbai, to become a guiding principle to understand habitats such as Mumbai’s so-called slums. This post is the first a of series of short essays written by participants of the Homegrown Neighbourhoods Workshop, which took place in January 2013 at the Institute of Urbanology.